You may order any of these designs as complete paint your own pottery At Home kits to paint at home anytime where ever you live! We'll send you everything you need, including patterns and painting instructions, to paint these great designs on pottery through our pyop At Home service. 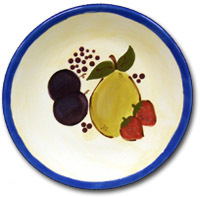 Customize your Pottery Painting Kits... after you have added a kit to your shopping cart by clicking on the "PICK ME" button, you may continue shopping online for more great fun and functional pottery, many more beautiful colors for painting, and any painting tools you might not already have available. For more ideas and special deals! 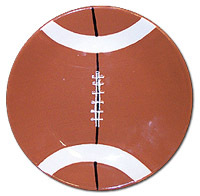 It's time for Super Bowl Mania and you've have got to get into the action this year! Plan a creative Super Bowl Pre-Game Party with chips & salsa, byob or byow, and tossing the football around (don't break the pottery!). 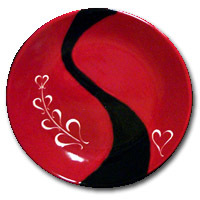 Travel the road to romance with our modern and powerful plate design. Featuring two bold colors and a simple, yet, elegant etching technique, this design is quite enjoyable to paint. 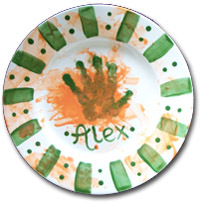 Capture life's special moments with a hand painted print from your child! Our glazes are all water-based and do not stain, so go ahead an make a fun and creative "mess" with pottery. Colored glazes sold separately ... please select your colors online after adding this kit to your shipping cart. Find out what the National Watermelon Board is doing these days. Celebrate summer! 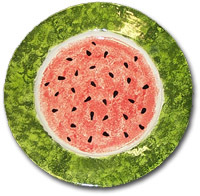 Our fun and colorful watermelon design will surely get you in the mood for some summer fun and mouth-watering watermelon. 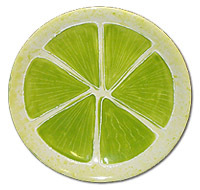 Pucker up with painting pottery with our fun lime design! 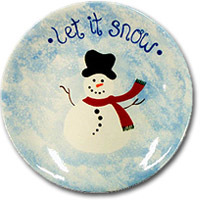 Celebrate the winter by painting a snowman in the snow holiday plate. Break out of your cocoon and enjoy an evening painting pottery! 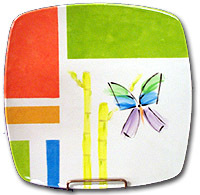 We've got a colorful and modern butterfly design that you'll love to paint because it's so easy and looks so cool. This butterfly caricature would make a very unique style for your dinnerware or for a special gift to show off your amazing painting talents! Flutter around with the butterflies online. ... more details coming soon. Bring in your family lineage and we'll guide you through painting your own family tree. We have a classic tree design with plenty of branches that you can customize for your family! 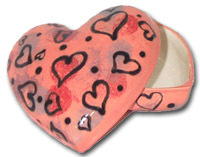 Paint a personal heart box for your special Valentine. 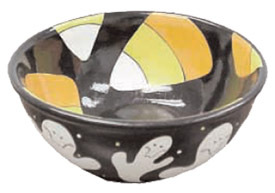 We have a great and easy candy bowl design to paint for Halloween! Visit the studio soon to start your ghostly fun design of a candy bowl today. 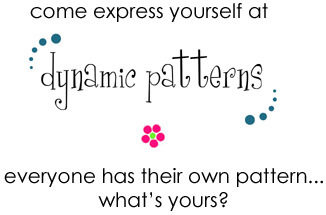 Paint this creative pottery design today! We'll provide you with detailed instructions, the pottery, and all of the supplies you need. Going somewhere for a special trip with friends, family, or just a personal get-a-way? Or, do you want a fun way to remember a special day? Try painting your own "Memory Pottery"! Simply sketch out specific highlights of the day, write out names of places visited, or memorable quotes using a No. 2 Pencil. The graphite will burn off during the kiln firing process, so it's a perfect way to outline any image for painting. 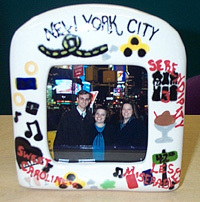 This is a unique way to record your memories in a special medium, and works great to make a cute picture frame, mug or any bisque design. "My Tooth :: The Tooth Fairy Stops Here"
Memory boxes are great ways to keep those special moments treasured forever. Personalize one of our tiny boxes for a perfect way to store your special treasures. From the first haircut to a tooth fairy box or maybe even the perfect way to present jewelry or another small gift. Make a box that will last just as long as the special memory. We have an assortment of small and large boxes that you can use for your personal treasure trove. 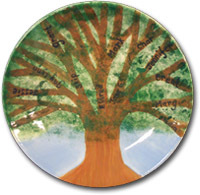 Think about a special item that represents a moment in your life that you never want to forget, pull it out of the envelope in the back of your closet, and into a place of honor inside a hand-painted ceramic box from the Pottery Studio.